Yes, in many ways. We built the software with this in mind. When the organization determines the need for changes to the quality management system, are the changes carried out in a planned manner? a) the purpose of the changes and their potential consequences? b) the integrity of the quality management system? c) the availability of resources? d) the allocation or reallocation of responsibilities and authorities? With the software you can prove how you carried out the changes, it shows you have a planned manner by using the BCS scoring system. Resources include assigning people (allocation or reallocation of responsibilities and authorities) to the improvements (changes) which is tracked by the software. All records are easily retrievable and in one place. The software lets you track meetings and actions from those meetings to further prove this. When addressing changing needs and trends, does the organization consider its current knowledge and determine how to acquire or access any necessary additional knowledge and required updates? For each project, you can make actions such as training or assign people with the knowledge to the action or hire outside experts to to help with the action. Has the organization planned, implemented and controlling the processes needed to meet the requirements for the provision of products and services, and to implement the actions determined in Clause 6 (Planning)? Waste walking, Process Analysis, Audits and 5S audits are built into StreamLiner. All of 3 of these help implement and control the processes. Action Items within StreamLiner provides evidence planning. Or 8.3.2 Design and development planning. StreamLiner supports this section too. You can create projects for each new product. Use StreamLiner to determine all activities following your product development process. Record all action items for the development and prove the actions were completed. Plus you can track all documents for the project within StreamLiner and track all meeting and action items from those meetings. StreamLiner includes audit functions. Create an audit checklist for the QMS. Record the expectations. Record the results. Record the actions necessary to correct any negative results. Track the audit documentation and supporting documentation within StreamLiner. Whether the organization determines and selects opportunities for improvement and implement any necessary actions to meet customer requirements and enhance customer satisfaction? 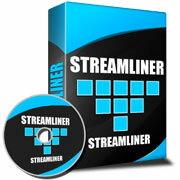 StreamLiner is Project Management Software that drives Lean and Continuous Improvement activities. StreamLiner supports all facets of improvement. How many projects and actions does the software hold? Microsoft Access Version 2003 or greater will work with StreamLiner. This includes versions 2003, 2007, 2010, 2013, 2016 and Office 365. We want to make sure you get up and running with the software. If you have any installation issues please send us an email at rcbhome@comcast.net. We usually answer within an hour and at the latest 24 hours, and that includes Holidays. Also feel free to ask about anything else with regards to the software. Yes. The license for StreamLiner is per user and computer. (see next section) Each subsequent license purchased by the same buyer is only $25.00. After initial purchase, we provide links for the buyer to purchase the additional licenses. StreamLiner generates an unique serial number for each user & PC combination per above. After purchase, the buyer emails serial number(s) to us at rcbhome@comcast.net or support@quality-assurance-solutions.com. We provide these instructions within the software. Within 24 hours (usually within 1 hour) we will provide the license numbers(s) for that computer. During a limited time we will charge a reduce amount for the upgraded software. This is a one time fee and all other license users for the business data receive the update at no additional costs. This will include transferring your data to the new revision. Past that time, we charge the full amount for the software. But this still includes transferring your data. Sorry to hear about that. We offer a 30 day money back guarantee. Just send us an email at support@quality-assurance-solutions.com. StreamLiner is compatible with Windows XP, Vista, Windows 7, Windows 8 and Windows 10 / 10S. How do you configure StreamLiner for multiple users? To work with multiple users, put the StreamLiner.mdb file in a known directory on the server. Also be sure that all users have Microsoft Access installed on their computers. Purchase a license for each computer. We provide the discount links for the additional licenses to the buyer at time of purchase. Place StreamLiner.accdr on the server. Delete the local StreamLiner.accdr as that might cause confusion. I purchased StreamLiner but when I open it tells me it is a read only and I cant change or add information. StreamLiner uses macros for some of its coding. This is an easy problem to fix. You will need to enable macros within Microsoft Access. "StreamLiner_Instructions.pdf" that came with the software has pictorial instructions on how do this. You will only need to do this once. When I open StreamLiner I get an error message on missing mscal.ocx file.